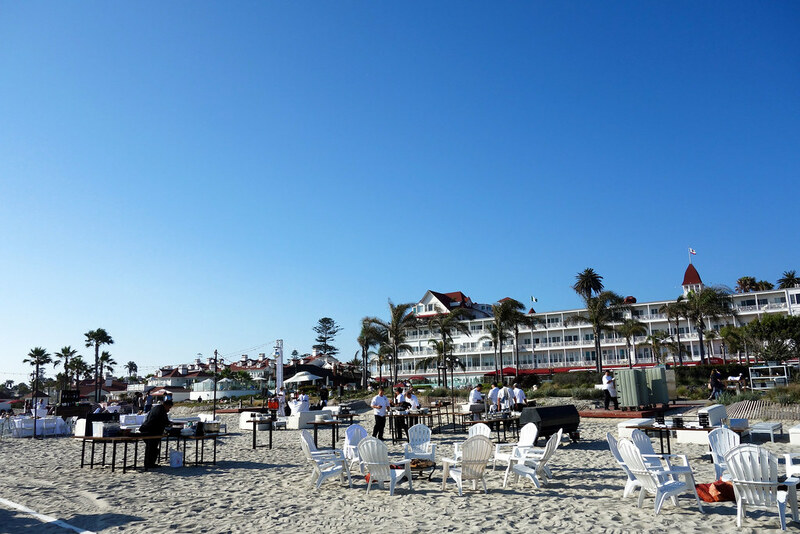 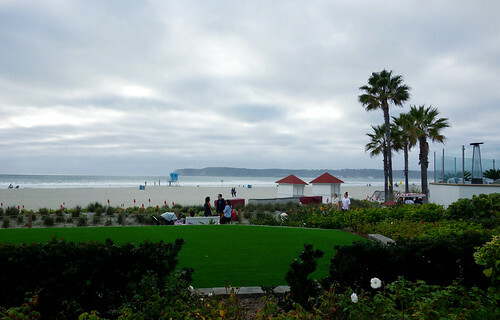 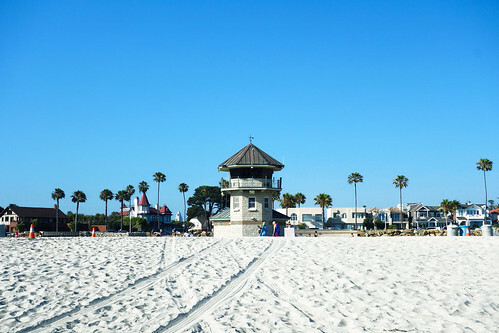 In the middle of the San Diego Bay, there is a little Californian paradise named Coronado Island. Once the feet on the island, the motto is chic and style ! 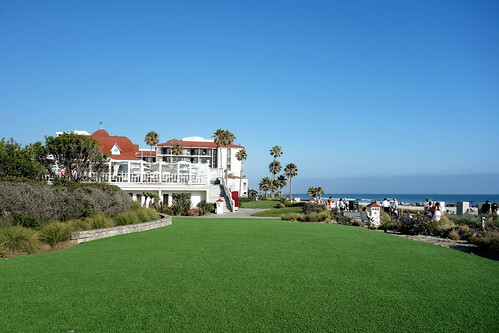 Welcome to the America of Desperate Housewife, the first reference that comes to me seeing those big houses with green gardens. 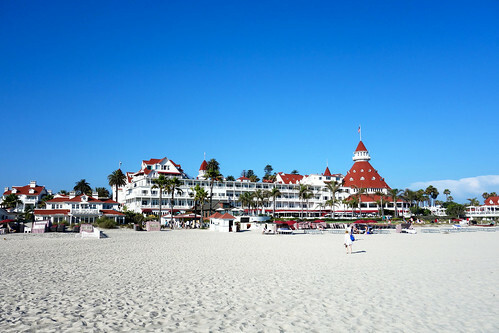 Add to that some perfectly aligned palm trees and the scene is not far from the one of a movie ! Before to talk about Coronado, the must-do of this visit is the ferry ride. 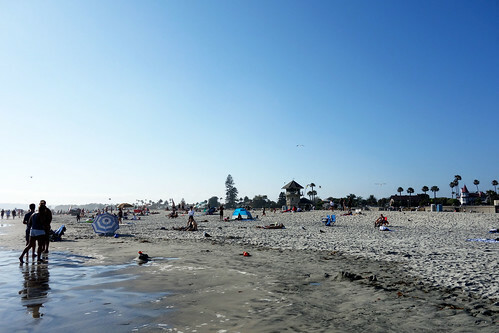 It would be unfortunate to miss an occasion of a trip in the San Diego Bay and miss the view of the Downtown. 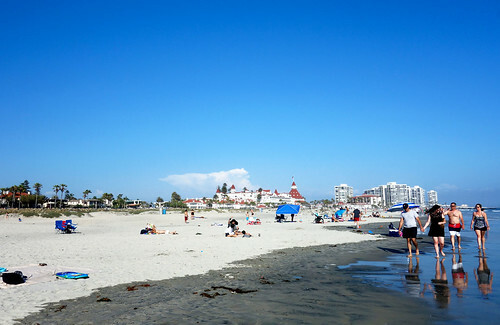 Not to mention the view of the Coronado Bridge ! 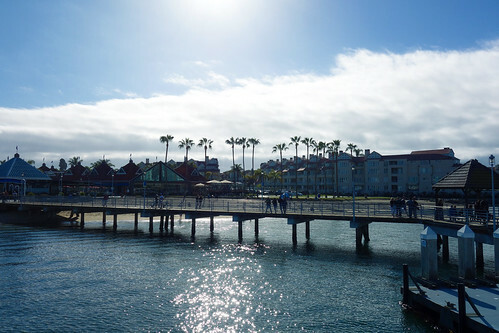 Departing from the Embarcadero, the ferry leaves every hours to cross the bay and join the island. Only for 4$, it’s worth the price for an amazing panoramic view and to feel the wind in your hair in the middle of the bay ! 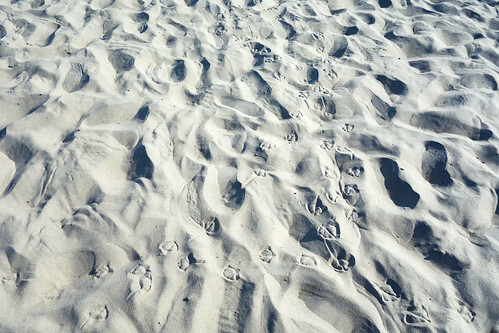 « Some like it hot », it’s my Marylin Monroe movie reference ! 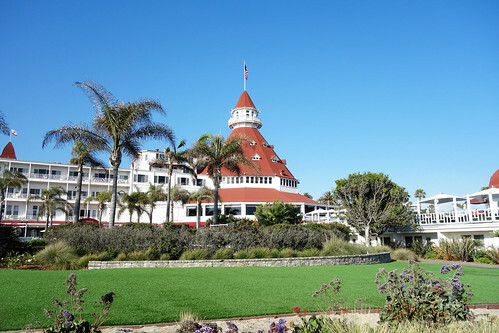 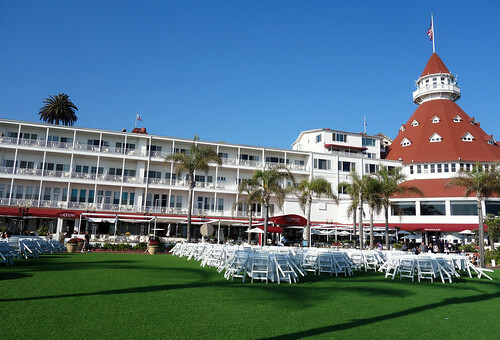 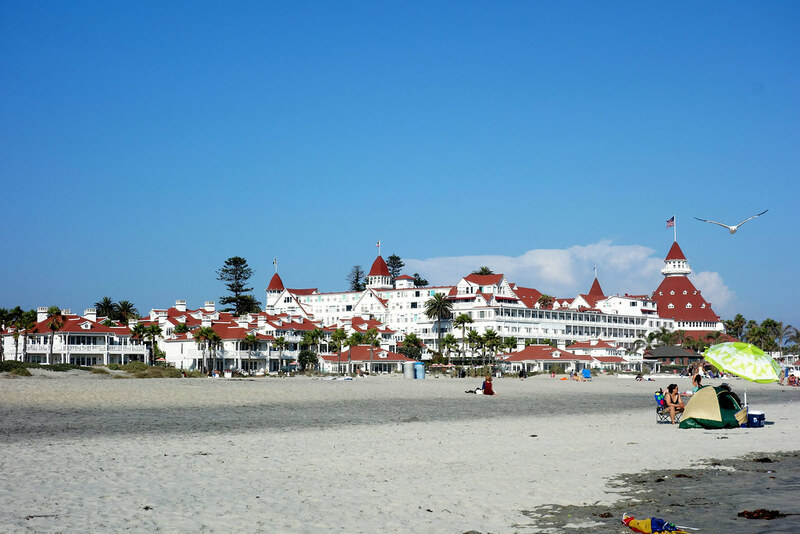 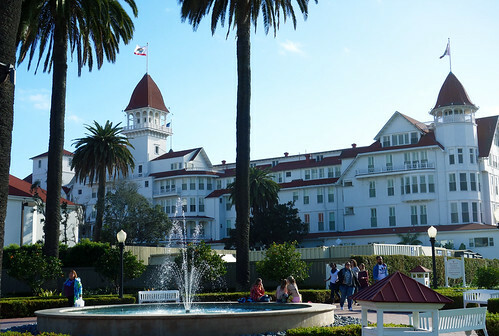 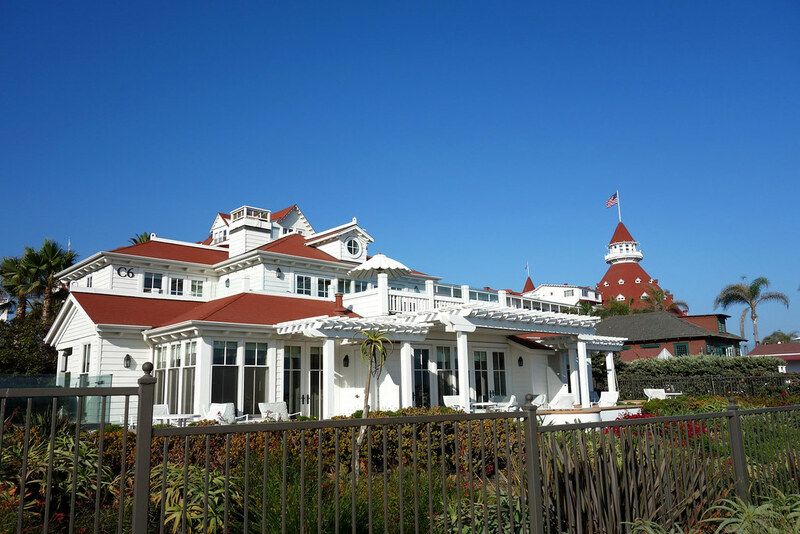 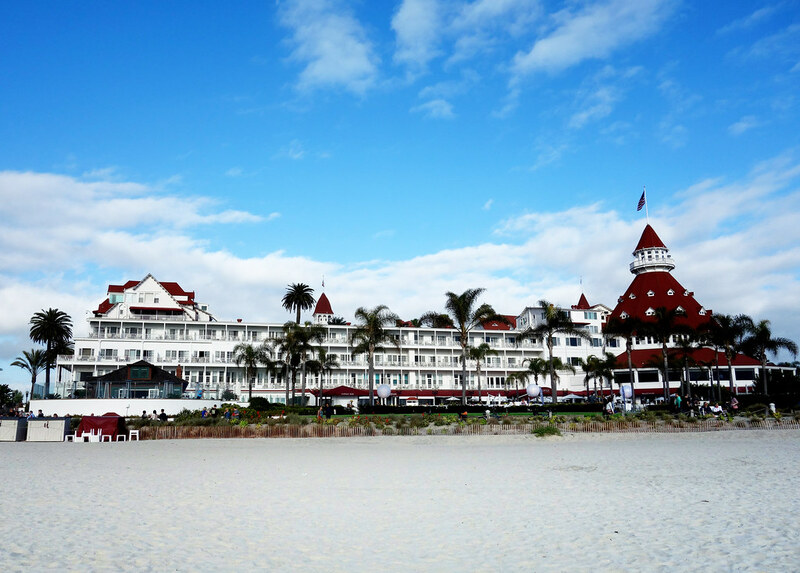 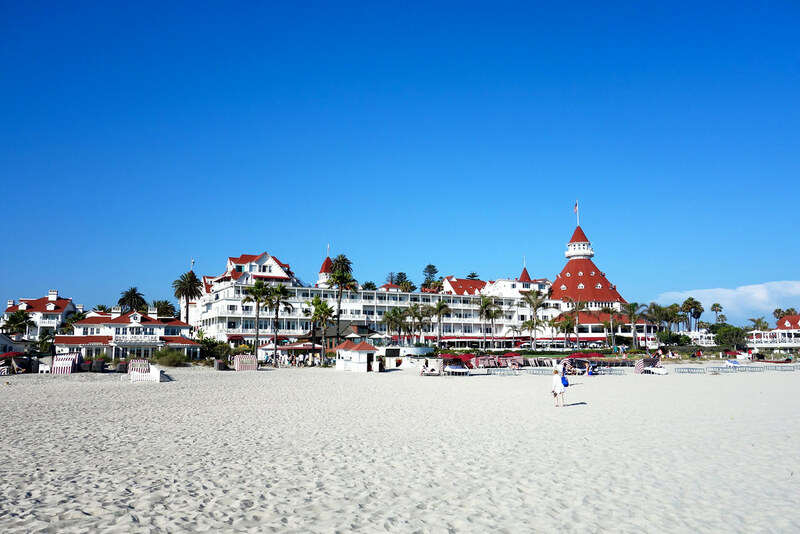 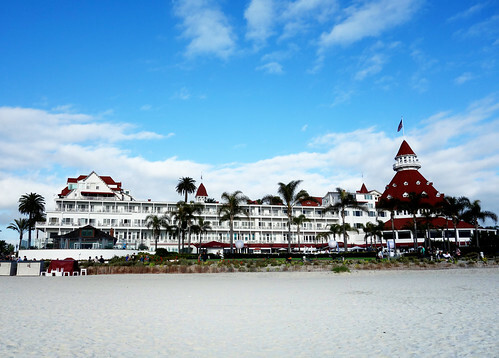 If you have seen this movie, you surely will recognised the famous Hotel del Coronado. All the American elite stayed there and no less than 11 presidents of the United States. 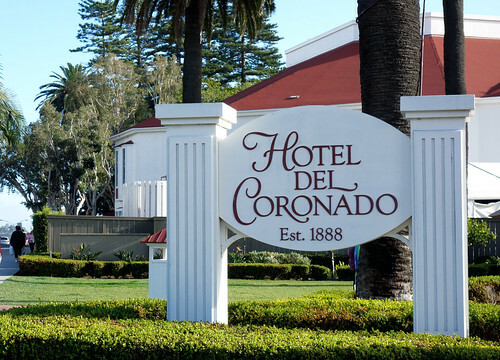 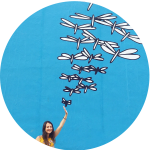 If you don’t have the opportunity to stay there, the hotel is accessible to the public so you can discover the exhibition about its history. Also enjoy a walk on the terrasse of the hotel, feel the great atmosphere, chic but casual and enjoy the view on the VIP events happening there. 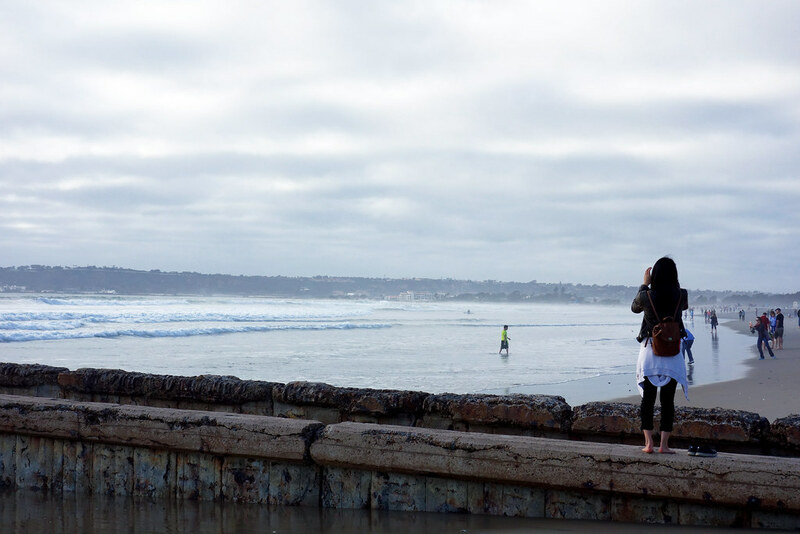 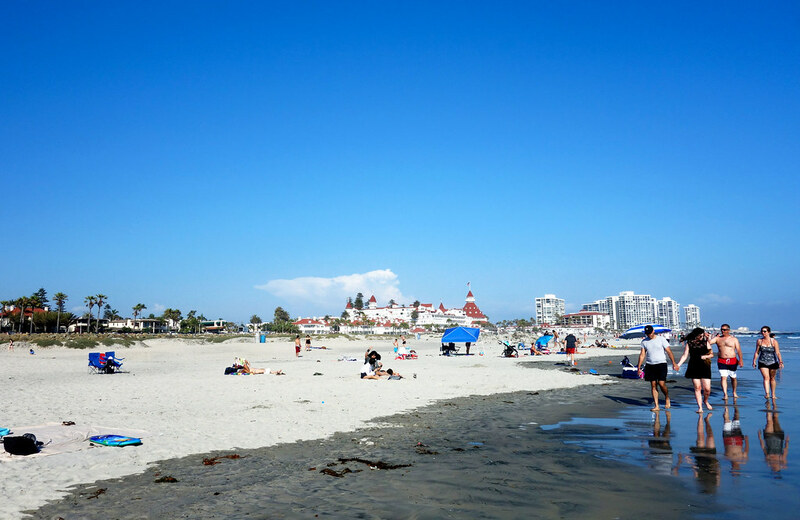 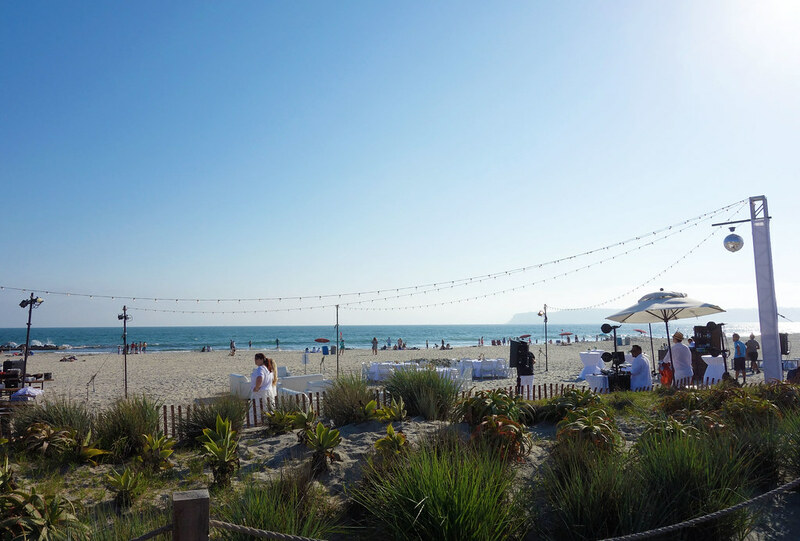 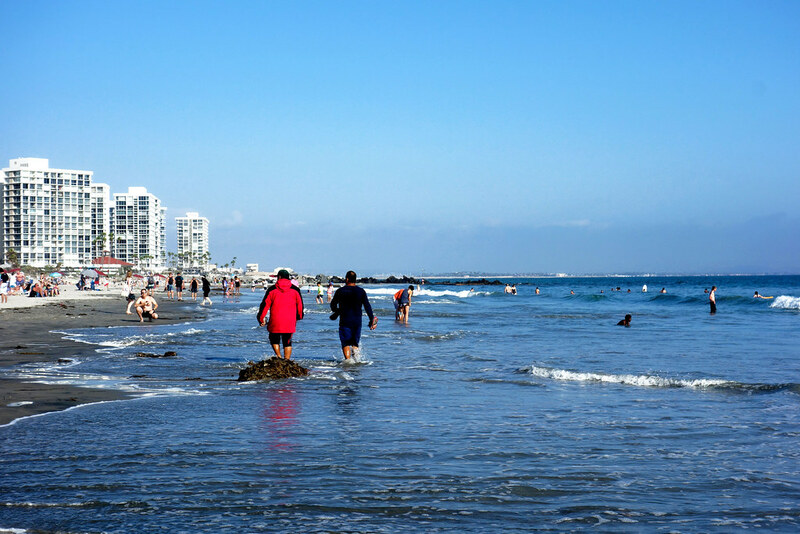 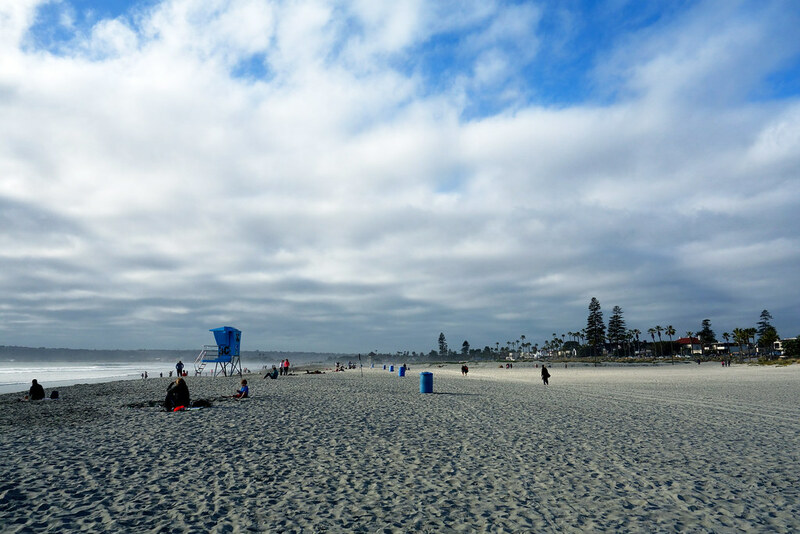 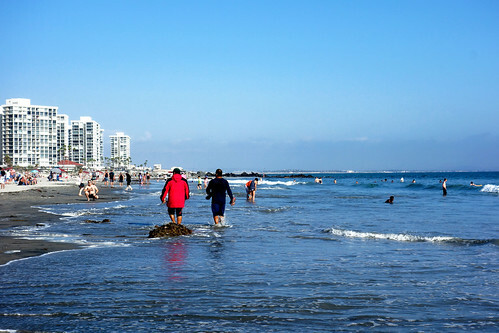 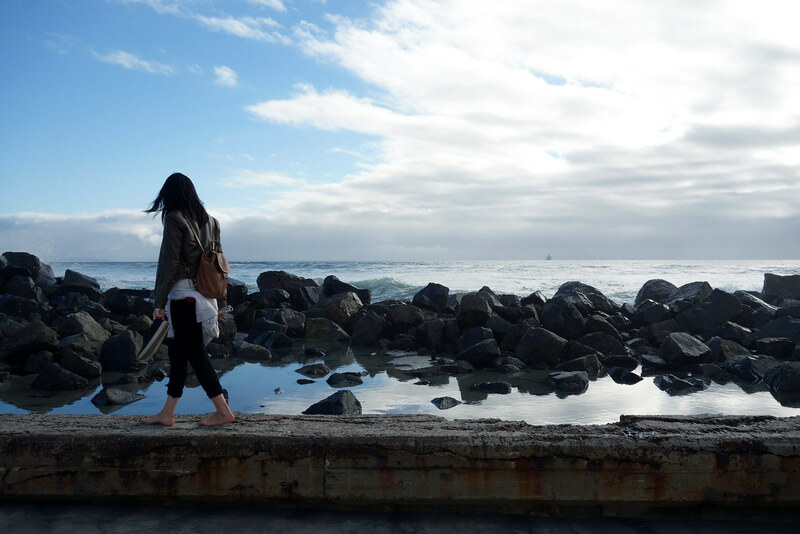 A vast beach, soft sand and sweet waves, Coronado beaches are the one you imagine to go to with your family or just to chill.. The fresh air from the ocean is also nice to escape the stifling heat of the city ! 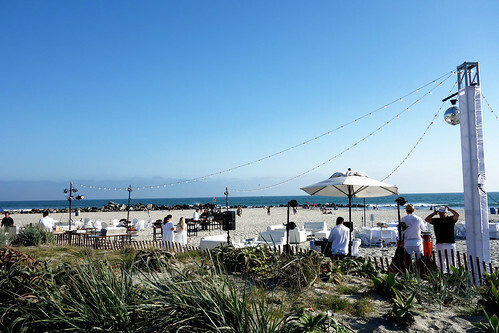 It’s the main avenue of the island : between chic restaurants and gift shops, there is everything. 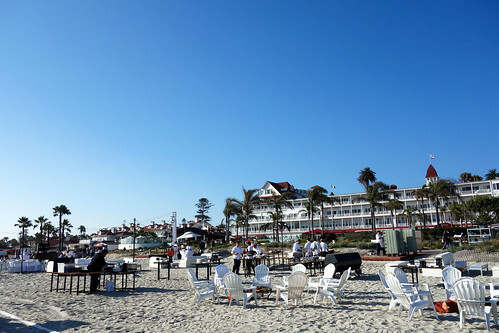 A good spot for a sandwich is Park Place Liquor & Deli, the liquor store front window is not really appealing but those sandwiches are perfect to take away and savour on the beach ! 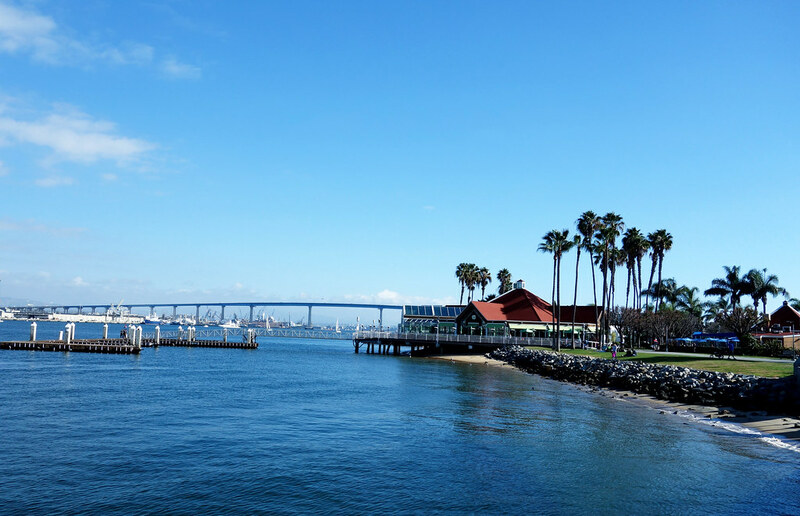 And finally, when it’s time to go back, take the road of the Coronado Bridge for a great view spot !